With so much going on in today’s busy world, it’s all too easy to get a bad attitude when something doesn’t go as expected. I have to confess that I let myself get annoyed recently when I wanted to make an appointment and was waiting for a call back, but did not get a prompt response. I started to feel like maybe I was being ignored on purpose. They did eventually call, and of course the most likely explanation is that they were just disorganized and it was nothing personal at all. 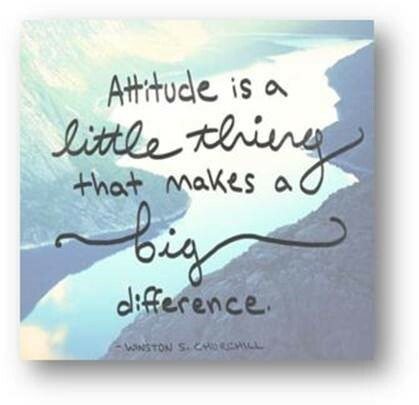 Sometimes those little annoyances are best taken as nothing more than life’s helpful reminders that an attitude adjustment might be called for! Yes you are right again 🙂 Amazing how just changing our attitude a little can make a big difference! Thanks Carolyn, yes, sometimes a little change is all that is needed! That’s so true — a bad attitude just leads to more annoyances!